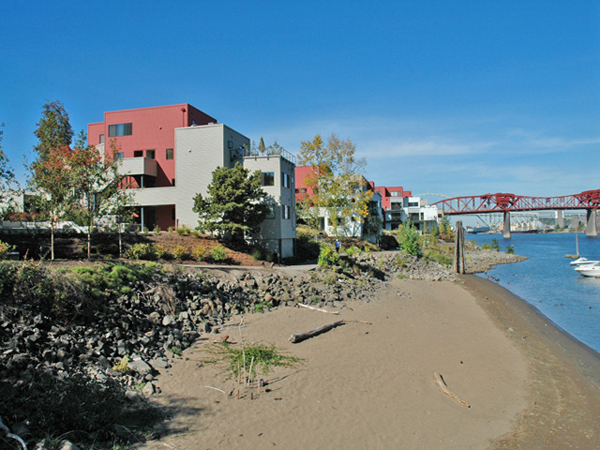 McCormick Pier Condominiums are located on the west bank of the Willamette River between the Broadway Bridge and the Steel Bridge. The project is just steps from Waterfront Park, Old Town,,and the Pearl District. Amenities include a swimming pool with sun deck, a hot tub with a river view, and a marina. Please contact us directly if you'd like information on Portland condominiums. There are 9 listings found for McCormick Pier. Recently updated, move-in ready condo located in an excellent NW riverfront location! This unit features new flooring throughout the living/dining area and bedroom. Recently renovated bathroom with new shower/bath/toilet. Gourmet kitchen features granite counters and SS appliances. New furnace and interior paint. Condo amenities include a pool, BBQ, fire pits, and deeded parking. Just blocks from the heart of the Pearl District! McCormick Pier one bedroom condo on 2nd level with laminate floors, an island kitchen with granite counters and stainless appliances and tile floor in kitchen, bathroom and entry area. Peek of the river from the balcony. In-Unit washer and dryer too! Heat Pump for cooling too. Onsite amenities include a pool, hot tub, barbecue and fire-pit areas, and walking paths. Water and sewer in HOA fee. Close to MAX and Pearl District too! Riverfront condo offers urban living at its finest! Light-filled open floorplan w/ river views. Large bdrm, laminate floors, granite counters, stainless steel appl, & large closets. Private covered deck, in-unit w/d, Nest thermostat, central A/C, & covered pkg. Condo amenities incl: pool, hot tub, common areas w/ BBQ's, & walking paths. Minutes to Pearl District, Saturday Market, waterfront park, & transit. Walk score 83, Bike score 94. Maybe the nicest condo in McCormick Pier. Open floor plan. All New Kitchen with quartz counters, new bathroom, new flooring throughout, fresh paint and more! 25k+ in materials alone. This work was all done for the owner with no expense spared. River view, deeded parking, all the great amenities of McCormick Pier: walking paths, pool and spa, BBQ, fire pit & picnic tables. Just minutes to downtown & the Pearl, urban living at its best.